Norman Mooney's Wind seed sculptures and subsequent colored glass "Star" sculptures are an extraordinary feat of fabrication that are made possible by utilizing our skills in 3 dimensional computer modeling. 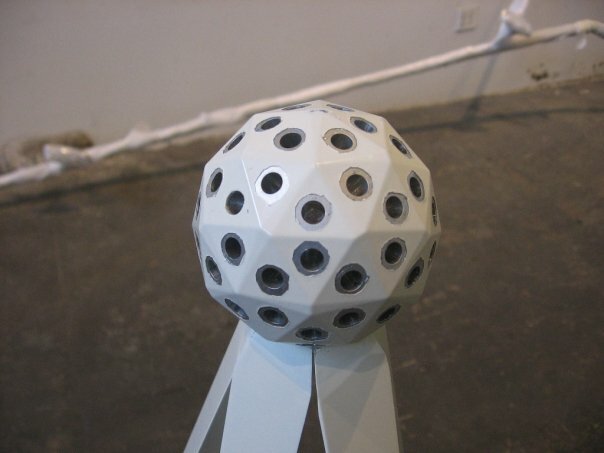 Norman was looking for a way to create a newer version of his current star sculptures that would take less time to create by utilizing modern manufacturing equipment along with obtaining a more precision look. Naturally Normans purist intentions lead us to look at complex icosahedron geometry previously explored by the great Buckminster Fuller. After presenting a simple 20 sided Icosahedron. 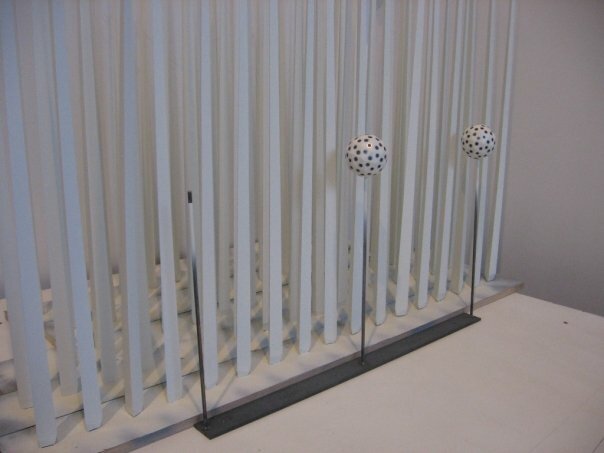 Norman was interested in multiplying the geometry, while keeping the triangular, cast aluminum spikes that he was using on previous sculptures. He was also set on having the all of the trajectories of each spike move from the center in a perfect, geometric grid. 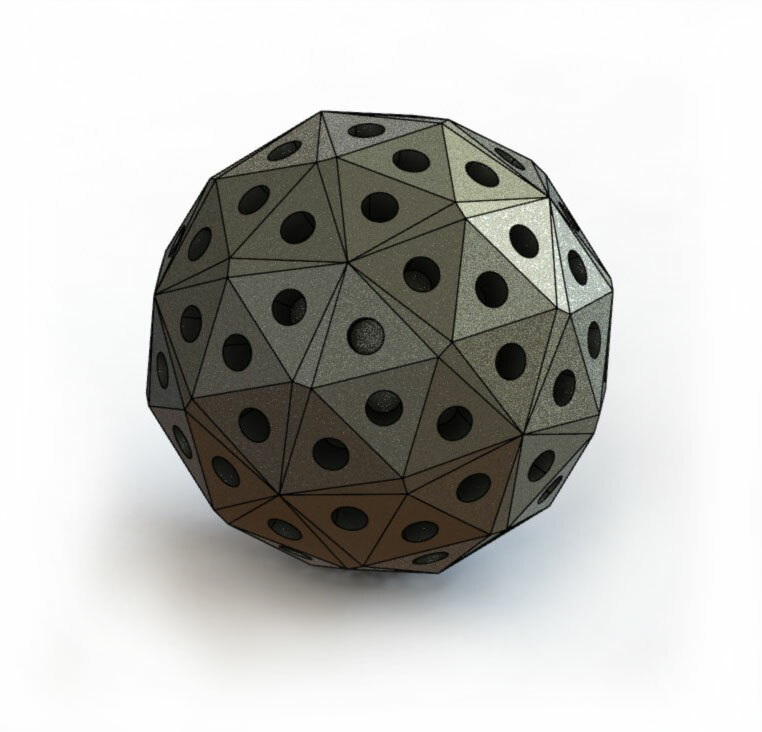 In order to do this the node that supported all of the spikes could not follow the constraints used for geodesic geometry. This was due to the fact that each triangular surface did not have a perfect center or equal sides. The task was then to "trick out" the geometry and consequently the engagement surfaces of each spike to create a seamless and pure aesthetic.